It’s things like this that make me wish i had a puppy at times… And the name of this company is adorable WetNoz (wet-nose), just captures the essence of their fun filled products. I’m not sure how well this little pup booster and mat work, but i suppose it helps keep the mess easy to clean, and has a nice aesthetic, but just out of curiosity, aren’t the BIG pups the ones who need a higher dish? since the real puppies are closer to the ground? You look at him, he smiles, You touch him, squeeze him, crush him in your hands, and he bounces back. He has a blankie/cape that is made from felt, in matching colors, black or white for the white Tooshyman. He comes with his blankie (and instruction booklet) in a tubular transparent drawstring bag that protects him from drafts and sunburn. 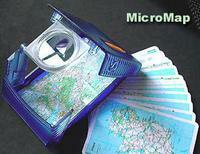 This seems like an interesting solution to the larger not so purse/pocket sized maps when travelling. Found at Rocketworld this playing card sized deck, creates a whole new way of approaching, or pocketing information. While its an idea that seems to be going towards a Sidekick utilizing Google Maps, i suppose this is a handy backup for battery or signal death? Not all things posted are new, but simply things i hadn’t had a chance to share with friends earlier. Take these bunnies and slugs… been around for a while, and this adorable french bunny radio just couldn’t be forgotten. 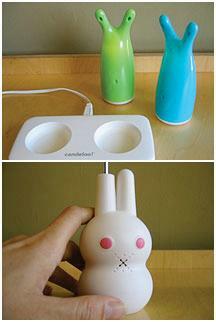 Or the Candeloo slug capacitive charging nightlights (with bellybuttons! or mouths!). Perfect for kids and playful adults alike. 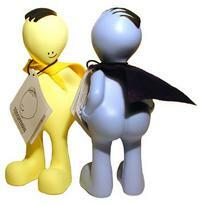 Find them at Plastica. REVIEW* Yes, this one’s personal, the storms that came literally ripped my previous umbrella apart, well that and possibly my super human strength as my friend claims. 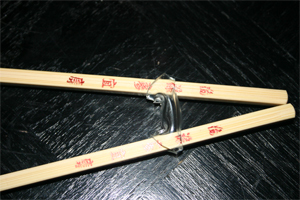 (it bent, completely, yes the staff/frame part) So the hunt was on. KNIRPS: das original. The inventors of the folding umbrella. German quality at its finest now revamped with some nice design. (and thanks to mocoloco posting this a few months ago, it stuck in my head). 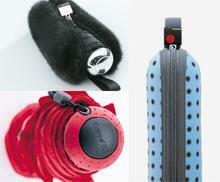 The external case that is purse exterior friendly, and the sheer size, not to mention design quality makes it a must. 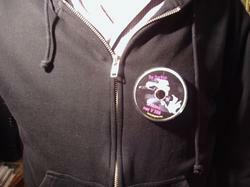 It took a bit of work to research all the options of how to get one of these (more on this after the jump). So go see European-umbrellas They are some of the nicest people, and by the time you take off VAT (tax of nearly 20%) and add some airmail shipping, your price is about the same as if you had flown out and purchased one there yourself. They also provide some great video footage of a German man teaching you how to care-for/use your umbrella. 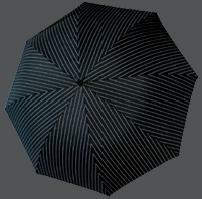 LOTS of imagery to follow, from historical to the umbrella’s themselves. Definitely worth a look-see. It’s been raining again here. To the point where umbrella’s are becoming a neccessary accessory to people’s every day, and the attempt to find the best quality and least mundane (with a sense of class and edgy twist) is not a simple matter. Tray6 claims to be “giving makeovers to objects who have lost their oomph”… and focusing on “breathing life into forgotten objects”. Yes, basically a design group who is making umbrella’s fashionable and outfit matching. The refreshing greens, pinks, blues, and browns available are a breath of fresh air in a dark greyish world of rain. So here’s the one that matches notcot’s background. A few more colorful images post jump. Also, ‘luckymag’ at checkout will get you a nice 30% discount. We also make personalized bags with your own piece of adventure. We have made bags with pieces of banner from Rolling Stones concerts and laptop bags with a tarp from a car rally in Northern Africa!. We believe perception of a famous event is purely a matter of opinion. We like to think of famous events as a “significant slice of time actually lived by our customers”. The “beat up” tent from a memorable trekking expedition in Nepal or that piece of windbreaker that survived a 200 mile hike through the Appalachian Trail really do define what a relic is all about : A piece of YOUR famous adventures. 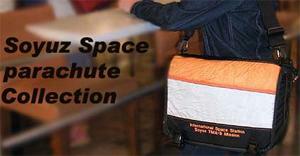 We can turn them into full-featured City or Laptop bags.